This content is provided by Alexander Zeltser. 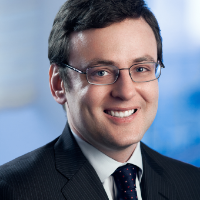 Alex focuses his practice on leveraged buy-outs and other financing transactions. Alex has extensive experience representing private equity firms and their portfolio companies, public companies as well as investment banks, hedge funds and other debt investors in a wide-range of financing transactions, including cash-flow and asset-based credit facilities, unitranche financings, second lien and mezzanine financings, restructuring transactions, including DIP and exit financings and workouts, convertible debt offerings, bridge financings and high yield debt offerings. He has advised both issuers and arrangers in connection with debt and equity securities offerings, with particular emphasis on high-yield debt offerings.